Posted on August 3, 2017 by Elina T.
I’m sure you’re all familiar with the saying: “don’t judge a book by its cover”. This is something I generally try to abide by, but if I’m being honest with myself, it doesn’t always work out that way. If I were to go into a bookstore or library looking for a book to read, this definitely would not be one I’d consider choosing. (Now since I’ve read the series, the covers have kind of grown on me). Luckily, I’m fortunate enough to have friends who love reading as much as I do who recommended this book to me. The story follows a mortal girl named Feyre (fay-ruh) who lives with her father and two older sisters. Her town lives in fear of the immortal faeries who live beyond the forest and the invisible wall that separates the faerie realms from those of the mortals. They’re a poor family, and Feyre’s father, who is crippled, has given up hope and has stopped supporting his own family. It has become Feyre’s duty to go hunting every day to keep her family alive. One day, while hunting, Feyre encounters a wolf, and shoots it. This proves to be a grave mistake, and Feyre gets taken off to Prythian (a realm on the other side of the wall) to live with immortal faeries. The immortal faeries she’d grown up fearing and hating. I absolutely loved the first book! It’s based off of Beauty and the Beast, so the story is kind of familiar, but it’s also very different. The second book was even better! And don’t even get me started on the third one. I don’t know how many times I’ve read series were the first book is great, but it just goes downhill from there. I’m telling you, this series starts off great, and just gets better and better. I don’t really want to talk too much about the individual characters because I might spoil something, but I’ll just say that Sarah J. Maas (the author) is so skilled at creating characters that readers will love and care about (this doesn’t even do her justice, you won’t really know until you read the series how amazing, funny, and lovable the characters are!). I also love how she describes the settings so vividly. I would do almost anything to be able spend time in Prythian (the world that this book takes place in) and hang out with all the characters! So if you’re looking for a fantasy book filled with adventure, romance, humor, and emotion (I almost cried while reading the last book which is saying something because I practically never cry while reading), I highly, highly recommend this series. 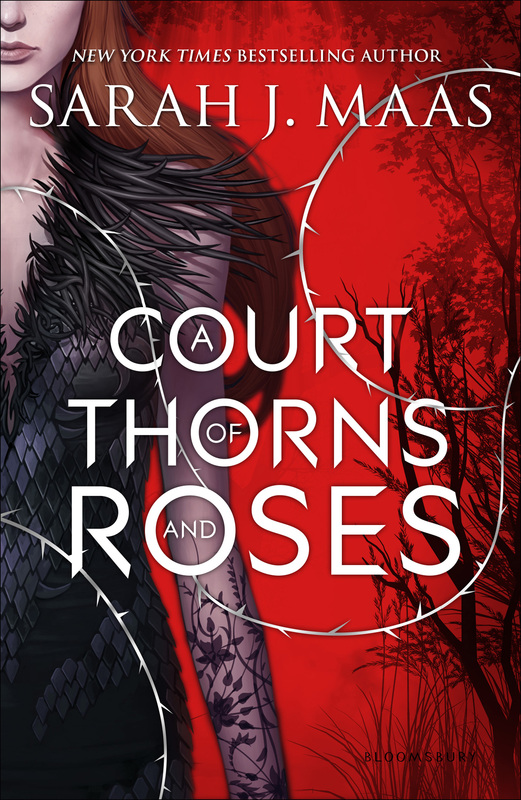 A Court of Thorns and Roses by Sarah J. Maas is available for checkout from the Mission Viejo Library. This entry was posted in Book Reviews and tagged A Court of Mist and Fury, A Court of Wings and Ruin, ACOTAR, fantasy, Fiction, Maas, Sarah J. Maas, young adult by Elina T.. Bookmark the permalink. Great review! I love fantasy stories, so will consider reading this series! !